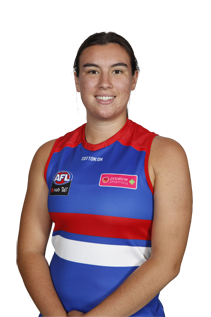 Bulldogs duo Libby Birch and Bonnie Toogood are the NAB AFL Women's Rising Star nominees for round two. The netball convert has excellent game sense and solid foot skills. A utility who has the height to play as a tall either down back or up forward.